In its most aggressive move yet to thwart jailbreakers and hackers, Apple seems to have begun banning Apple ID’s of offenders. 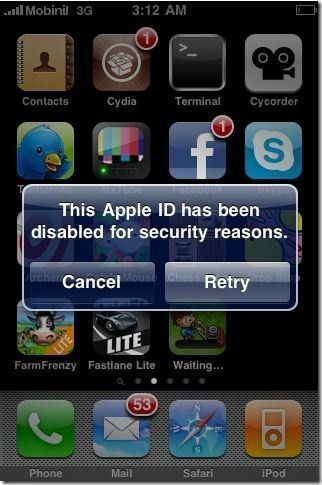 This Apple ID has been disabled for security reasons. Furthermore, iPhone hacker “iH8sn0w” also had his Apple ID disabled shortly after the first incident. At this time, disabed Apple ID’s do not seem to be affecting every user that jailbreaks their iPhone, but it is interesting to ponder how far Apple may take this.